It is not unreasonable for a sovereign nation to want the fullest possible control of its borders. And at the risk of angering Donald Trump's critics, I don't believe the president is being isolationist or cruel when he identifies this as an issue he wants resolved as a matter of urgency. It matters to Americans of all political persuasions, and so it rightly matters to him. It's seems to me that these vile and putrid centrists are working against the will of the people, the merkin people voted for Trimp and his wall, he didn't hide his desire for a wall, it wasn't suddenly sprung into shock, it was all over the democrat establishment media, they can't say they didn't see it coming. 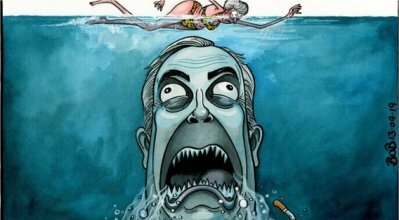 Here in Blighty it is much the same, we have a centrist remainer PM and chancellor selling us out to European Business demands pretending to negotiate with her pro Brexit ERG/DUP "extremists" and an opposition leader a life long brexiteer having to be forced along by the centrist blairite cult. Hidden in the news today was the fact that the Lamy Verheugen plan has been actioned, the horrifying reality of a combined, coordinated and operational Franco German army soon to be enforcing EU law and strategic interests at the border between Ulster and Eire, this was signed into motion today by Merkel and Macron. If that doesn't bring home the urgency of our leaving the EU, I don't know what will. Le Pen has called it "treason" and "a serious abandonment of sovereignty"! Without being too stereotypical of the French, sometimes it appears that as long as they've Pain a l'ail, Brie de Melun and lashings of Merlot they don't mind Germans marching in their shade! He said "I'm going to build a wall to prevent illegal immigration from Mexico"
And that's what he is trying to do. [You must be registered and logged in to see this link.] wrote: It is not unreasonable for a sovereign nation to want the fullest possible control of its borders. [You must be registered and logged in to see this link.] wrote: What's the myth? ?